I'm back temporarily! I missed a lot of things already especially working and blogging of course. 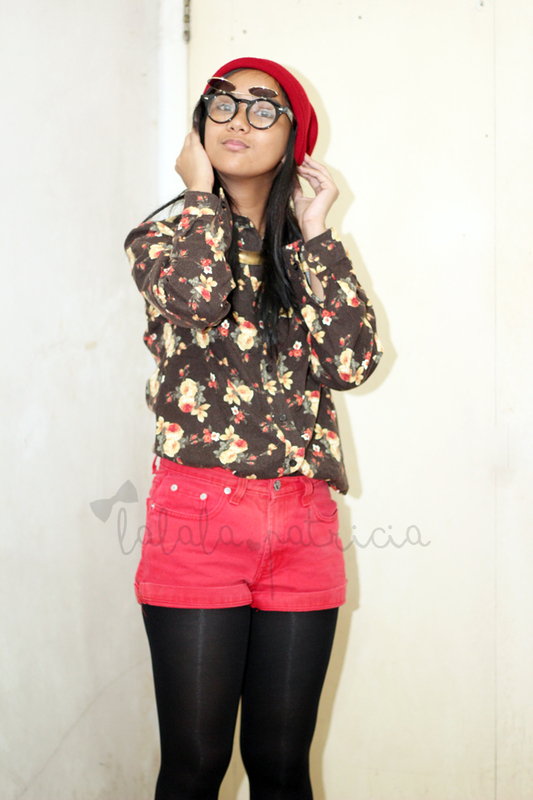 I hope you miss my daily post too because I've got bunch of OOTD post for you guys! Anyway, here's a quick outfit post. I thank God for the cold weather we had experienced during our review, it seems like we are all going to fly over the North Pole! Haha crazy summer adventure! I told myself to step out in the box and try new things and so I did. 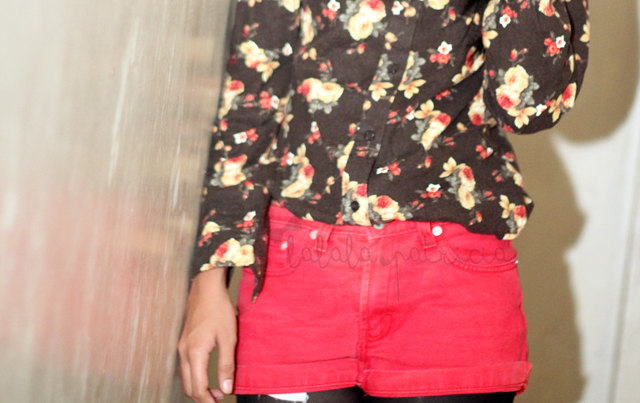 I paired my floral polo top from Bestfinds Thriftshop with my red jordache shorts. I injected a black stockings to add a little drama and to emphasize the red shorts in the outfit.